We do not rent, sell or exchange email addresses. We ask for your email address to communicate updates, ReAct promotions, events, and other information pertaining to the ReAct website (www.reacttheatre.org). If you no longer wish to recieve email updates from us, please send us an email at react@reacttheatre.org with "unsubscribe" in the subject line. Please allow approximately 2-3 weeks for your name to be removed from our database. The Repertory Actor's Theatre's (www.reacttheatre.org) policy is to respect and protect the privacy of our users. This policy statement tells you how we collect information from you and how we use it. Using the Internet should be a fun, helpful, and informative experience and we want to help you make it so. 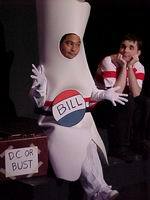 It should be just as enjoyable as our theatrical productions. We do not rent, sell or exchange email addresses. When you sign up on the ReAct (www.reacttheatre.org) mailing list, we collect your name and contact information so that we can send you advance notices of events, or tell you about new features on our site. You can unsubscribe from our mailing list at any time by sending your unsubscribe request to: react@reacttheatre.org and type "unsubscribe" in the subject line. Please allow approximately 2-3 weeks for your name to be removed from our database. (www.reacttheatre.org) or any other promotional activity, we may ask for your name, address, phone number and email address so that we can adminsiter the contest and notify the winner(s). When you visit our site, our web server may automatically collect your domain name data, but not your email address. We may use this information to help monitor general site use and traffic patterns to improve our web site and its contents. Any information collected would be used for internal review only and discarded after use. We may use collected data to customize the content and/or layout of our pages for future site updates and enhancements to the ReAct website, (www.reacttheatre.org). If you have additional questions that haven't been addressed in our privacy section, please also see our sitemap. David Ige as the Bill and Dom Zook as the Boy performing "I'm Just a Bill" in ReAct's Schoolhouse Rock Live! March 2002. 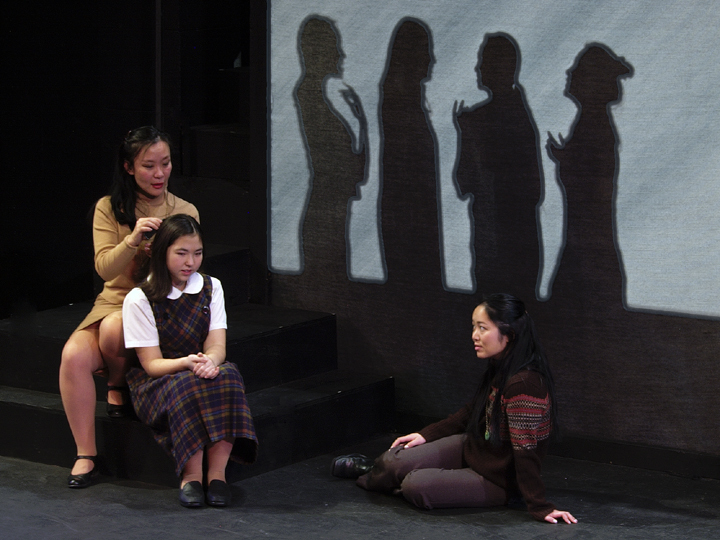 Kathy Hsieh as Suyuan, Masumi Hayashi-Smith as Young Jing-mei and Katie Tupper as Jing-mei in a scene from ReAct's The Joy Luck Club. January 2003.